Take centre stage with truly star-worthy hair! 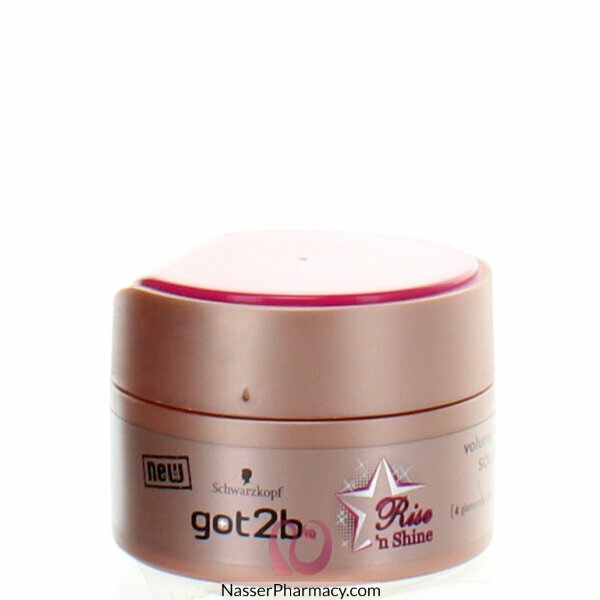 The new got2b Rise 'n Shine soufflé gives your hair textured volume and silky shine for a truly glamorous finish. Rise 'n Shine with unforgettable hair! Volume + shine. 4: glamorous styles: textured volume, silky shine, weightless finish. It' got to be got2b! Got2bTM Rise n' Shine Take centre stage with truly star-worthy hair! The new got2b Rise 'n Shine soufflé gives your hair textured volume and silky shine for a truly glamorous finish. Rise 'n Shine with unforgettable hair!